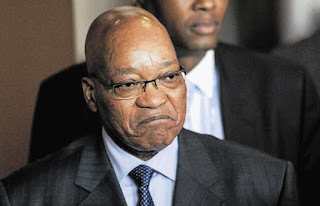 The News24 news agency, citing sources in the ruling ANC party, said that Tourism Minister Derek Hanekom, Health Minister Aaron Motsoaledi and Public Works Minister Thulas Nxesi called on Zuma to step down. The clash came at a weekend National Executive Committee meeting of the African National Congress (ANC) party, which was extended into Monday amid heated debate over Zuma’s fate. The probe by the country’s top watchdog raised accusations of possible criminal activity in Zuma’s relationship with the Guptas, a business family accused of wielding undue political influence. But Zuma, 74, retains strong loyalty among many party members and its lawmakers — easily surviving a vote of no confidence in parliament on November 10. “There is no doubt that Zuma is fighting for his political life,” analyst Ranjeni Munusamy wrote on the Daily Maverick website.